Pink Lemonade: Thanksgiving Feast Under 600 Calories! Thanksgiving Feast Under 600 Calories! It’s that time of year again, the biggest day to let loose, go off every diet, and indulge in the biggest feast of the year: Thanksgiving. Then there comes the guilt the next day when we wake up and realize that we shouldn’t have eaten that extra piece of pumpkin pie that had 320 calories alone! Finally the problem has been solved by California native, Laurel Hudson, Culinary Instructor at Wellspring Academy for Weight Loss. (www.wellspringacademies.com) Laurel has developed a nine piece feast that will indulge the taste buds this holiday without leaving the guilt of pigging out. 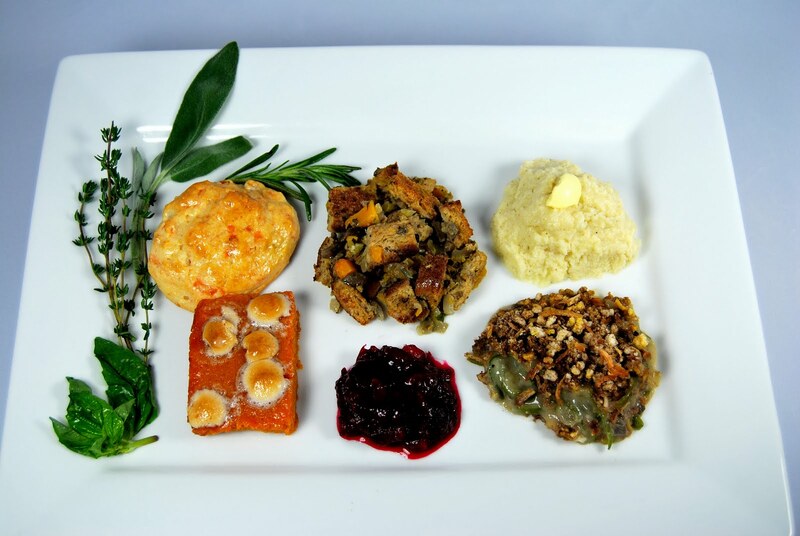 From appetizer to dessert, side dishes to the turkey entree, the feast has less than 600 Calories! Spray one side of each piece of parchment paper with Pam. 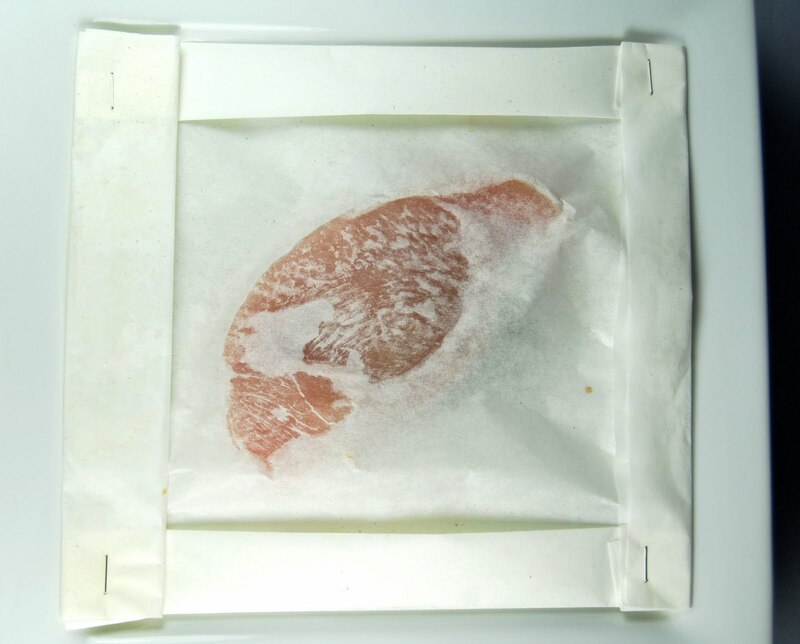 Lay a turkey breast on four of the sheets of parchment paper. Sprinkle the garlic evenly over the turkey breasts. Lay a few pieces of whole herbs on top of the turkey breasts. Sprinkle with ¼ tsp bouillon each, evenly. Place the other piece of parchment paper, sprayed side down, on top of the turkey breast. Fold all the sides into a square, and staple the corners and anywhere else that is loose. 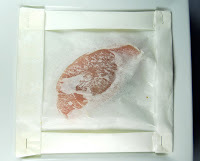 Place the parchment packets on a baking sheet. Bake in the oven for 15-25 minutes, or until the internal temperature is 165 and the juices run clear. To serve, gently cut into the top piece of paper and open, and then remove the herbs and each from the packet. Combine the gravy mix, broth, and herbs in a small pot, and whisk until dissolved. Bring to a boil then reduce heat and let simmer for 1 minute. Remove from the heat and stir in butter granules and pepper to taste. Lightly toast bread to dry out, or leave out overnight to stale. Spray a medium sized baking dish with Pam, and set aside. Cut bread into ¼ inch cubes, and add to a large mixing bowl. Chop or shred (use a box grater) all the veggies into small pieces. Get a large sauté pan, and spray lightly with pam. Heat up sauté pan, and add all the veggies. Cook for about 8 minutes, or until golden and beginning to soften. Add the broth and herbs, and cook until veggies are almost soft, about 5 minutes. Remove the pan from the heat, and stir in the butter granules. Place the pan in the freezer to cool down slightly for 5 minutes. Stir in egg substitute and vinegar and then pour everything in pan over bread cubes in mixing bowl. Gently fold the bread into the liquid vegetable mixture, and then scoop into baking dish. Cover the dish with foil, and bake in the oven for 20 minutes. Dice the potato, and place in the microwave in a small bowl. Microwave for 5-10 minutes, or until tender. Steam the cauliflower as directed on the package. Add the potato and cauliflower florets to a food processor. Add in remaining ingredients except the butter spray. Season to taste with salt and pepper, and spray with butter spray if desired. Spray a casserole dish lightly with Pam. Add mushroom soup, milk, black pepper, and soy sauce to green beans. Top with crushed Quakes and dried minced onion, and spray top lightly with Pam. Place back in the oven for 10 minutes, or until topping is golden. Place all the ingredients in a medium sized pan. Bring the contents to a boil over medium heat. Once boiling, reduce the heat to a simmer, and cook for 10 minutes (just until cranberries burst; any longer and they will become bitter). Refrigerate the sauce for several hours, or until thickened and cooled. Spray a large baking pan with Pam and line with parchment. Add the shredded cheese, chopped scallions, garlic powder, salt, pepper, cheese sauce mix, parmesan, and buttermilk, then stir until combined. Gently stir in the baking mix, and drop by rounded tablespoon onto the sheet pan, making 4 dozen biscuits total. Spray each with butter spray, and serve warm. Spray a pie pan lightly with Pam. In a food processor, grind up cereal until it looks like crumbs. Add in the butter, applesauce, Splenda, and spices, and process until combined. Press crust mixture evenly into the bottom of the baking dish with your hands. Bake the crust for 10 minutes, and then let cool in the freezer for 5 minutes. Combine the filling ingredients in a large bowl; the pumpkin, milk, egg beaters, Splenda, syrup, pumpkin spice, cinnamon, salt, molasses, vanilla and butter extract, and whisk until smooth. Pour filling into crust, and bake in the oven for 45 minutes, or until the center is set. Let cool, then place in the refrigerator for several hours or overnight if possible. Keep refrigerated until serving, and then cut into twelve slices and top with thawed cool whip if desired. Wash and peel the sweet potato and the butternut squash. Dice each into 1/4” cubes, and remove the seeds from the squash. Microwave in a small bowl for 6-10 minutes, then let sit in microwave for an additional 5 minutes. Place squash and sweet potato in a food processor and process until mostly smooth. Add all remaining ingredients except marshmallows and Pam to the food processor and process again until combined. Lightly spray a medium baking dish with Pam. Pour mixture into pan and evenly spread out. Bake for 30-50 minutes, or until very soft. Sprinkle marshmallows on top, then bake 3-5 more minutes, or until marshmallows are beginning to brown. Althought they're not part of your 600 calorie limit, here's a recipe for the day after Turkey Day! Lay the wrappers out on a table. Spray the tops lightly with Pam. Dip a pastry brush in egg beaters or egg whites and brush the edges of the wrappers. Mix the turkey, cranberry sauce, mashed potatoes, and stuffing together in a bowl. Place 1 mounded teaspoon of filling on one side of each wonton wrapper. Fold over the other side of the wrapper and pinch together the edges, and seal with fork prongs. Lightly spray the tops with Pam. Serve with gravy for dipping if desired. All recipes courtesy of Laurel Hudson, Culinary Instructor at Wellspring Academy for Weight Loss. (www.wellspringacademies.com).